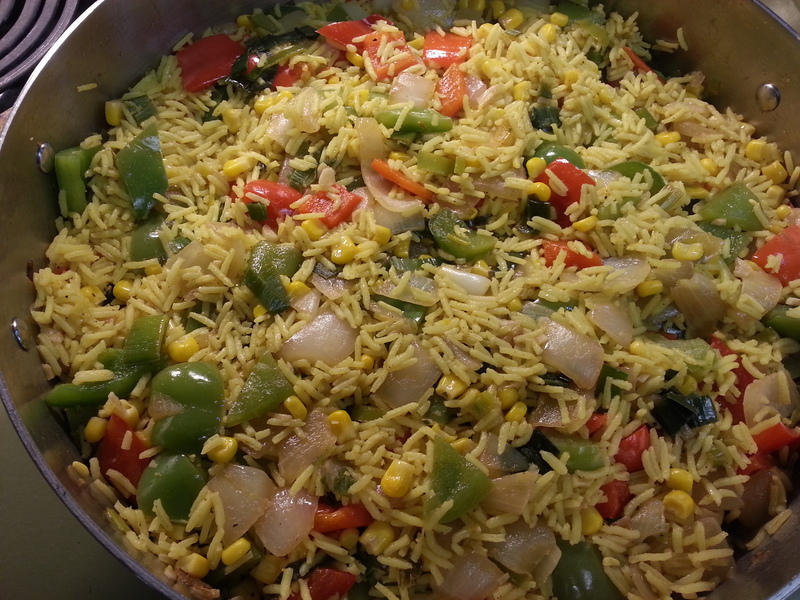 I found the basic recipe for this rice and peppers dish on a recipe site, and tried it. I thought it could use some tweaking, and so here is the result. 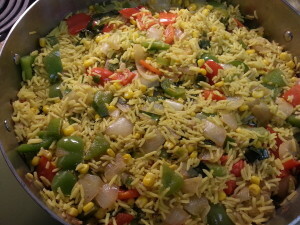 I really like this as a flavorful side dish, but it holds its own as a light meal too. This one is vegan without needing any modifications.